Many women love fall, for its comfy sweaters and pumpkin spice everything but I tend to enjoy it for different reasons. It’s been a busy month, let’s see what has been happening. Cattle pots are lit up like Christmas trees rumbling down the highways and byways of our region this month hauling all of the industry’s hard work of raising beef. What a wonderful sight to see! We are in the thick of the fall calf run and it seems to be quite good. There were some early October snowy days that pushed producers to a different sale date, but hopefully, the date switches won’t be too cumbersome on the sale barns and a backlog will be avoided for the most part. Good luck to everyone who has yet to sell. May the bids be with you. The drying up of the earth’s crops – from leaves to corn – has always held a smell too it that comforts me. I can’t describe it but I’m sure many of you know what I’m talking about. Harvest has come and gone for many places, however, harvest in the eastern portion of our readership area continues, because, well, it never has really gotten started. With so much rain, and then snow, it has been hard for farmers to get into the fields to get crops out. Dare I say it will be Christmas before things are wrapped up? Let’s hope not for our crop farming friends. This month I attended the South Dakota Women in Ag conference in Deadwood. Generally held in October, it is a quick get-away for ladies that need a break from all the cattle work or harvest activity. It’s a day and a half of pure fun, education, and networking. This year we learned about animal handling from Dr. Kip Lukasiewicz with Production Animal Consultation, LLC. Sharlet Teigen with Demeter Communications walked us through the first steps of brand marketing – yourself or your business. Buckaroogirl Adrian Brannan spoke on the important topic of domestic violence in the agricultural community. While a heavy topic, she presented it with grace and solid information for our education. She capped off the conference with an upbeat mini-concert of some of the best songs from her albums. While I enjoy the month, I notoriously get sick in October. Like a freshly weaned calf that has been hauled for eight hours, I generally come down with a chronic cough, snot dripping from my nose and poor will to live. This year has been no different, unfortunately. In this week’s paper, there is an article from the Certified Angus Beef Feedlot Forum about whether you should vaccinate feedlot calves upon arrival. 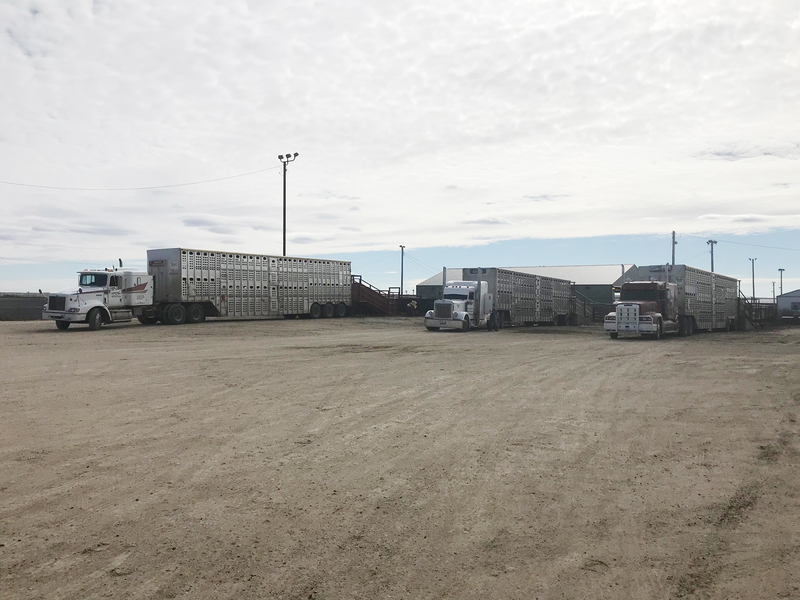 Many in the industry – backgrounder to feedlot operator – do vaccinate on arrival and the article suggests there should be a two week wait period to let the stress levels of the calves come down before administering vaccines. I can sympathize with those calves. It’s something to think about as human doctors won’t give you a flu shot if you are feeling a little bit “off” or are presenting any cold-like symptoms. The same could be applied to animal health. You should have found Cattle Business Weekly’s fall herd reference guide in your mailbox this month. The glossy magazine is always a large undertaking for our staff. We try to present information that can be of use to you in your cattle operations while also offering advertisements for some of the best seedstock cattle in the nation. And of course, there is the main feature of the magazine the Top 10 Industry Leaders under 40. This year’s Top 10 class consists of cattle producers, auctioneers, tech gurus, media experts, feedlot operators, beef educators, and veterinarians. Honored this year are: Eric Knock, Tulare, S.D. ; Monte Bloms, Carpio, N.D.; Kyle Shobe, Lewistown, Mont. ; Steven and Amy Muller, Agar, S.D. ; Jack Arterburn, Chadron, Neb. ; Brooke German, State Center, Iowa; Joshua Mohnen, White Lake, S.D. ; Lacey Maier, New Salem, N.D.; Jordan and Drew Feller, Wisner, Neb. and Ellen Schlechter, Orient, S.D. You can read about each of these individuals in the magazine or find the profiles online at www.cattlebusinessweekly.com under “Top 10”. I for one am so honored and proud to be working in an industry that has leaders like the above committed to it.